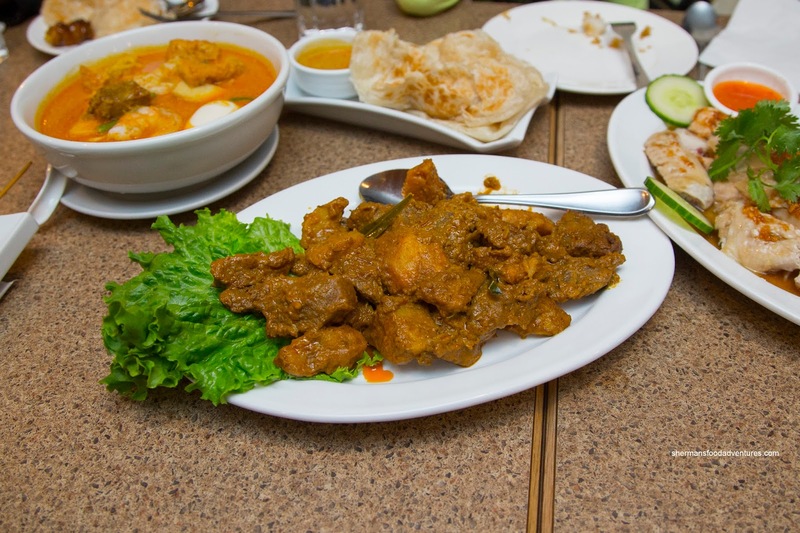 Looking back to last year, I heard about a lil' Malay restaurant in a run-down strip mall in Richmond. 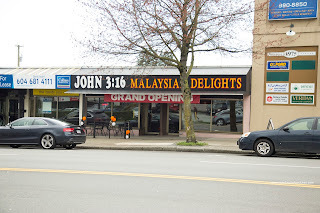 Interestingly named after a popular bible verse (John 3:16), I was planning a visit. I even had a close encounter when we were at Tian Shi Fu for the Chinese Restaurant Awards, but ended up missing out as the place closed due to redevelopment of the aforementioned strip mall. Well lo and behold, they opened up another shop on Lonsdale in North Van. Seeing how we were heading to the North Shore anyways, we stopped by for lunch. For the kiddies, they wanted Satay and Roti... 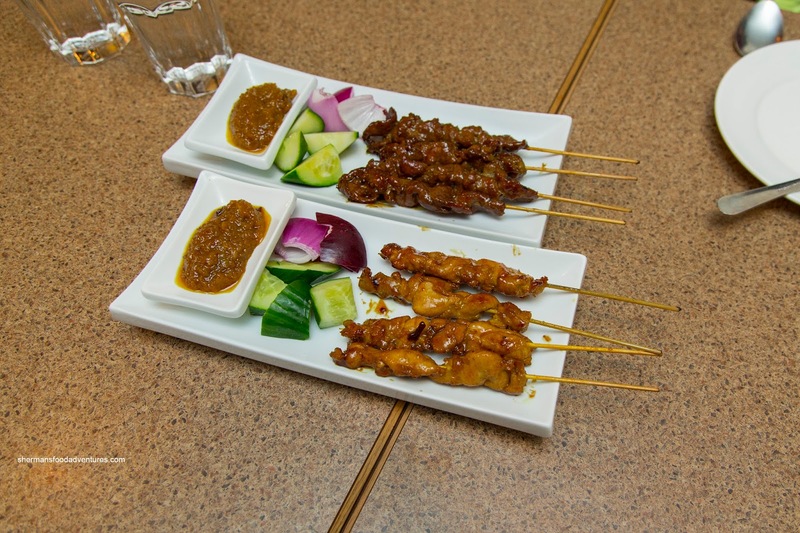 So yes, we got an order each of the Beef and Chicken Satay as well as the Roti Canai. Very saucy and sweet, the beef satay was on the chewier side and meaty. As for the chicken, it was predictably more tender while not particularly moist though. We would've liked to see more char as the skewers were rather wet from all the sauce. On the other hand, the roti was pretty solid. 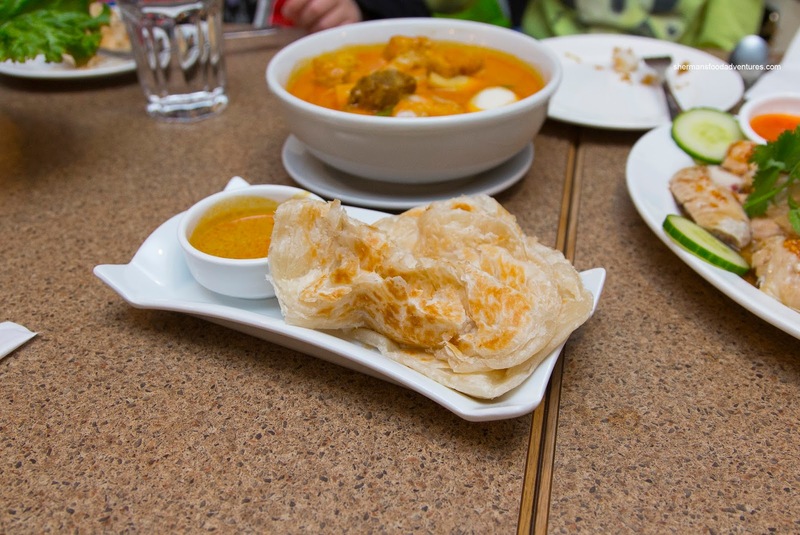 Lightly crispy on the outside, flaky and chewy on the inside, the roti was not very greasy. The side of curry dip was on point with a rich creamy consistency while being aromatic from the coconut milk and a touch spicy. 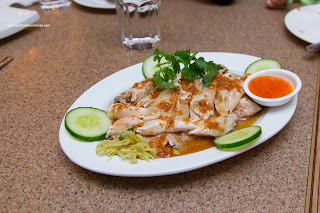 Onto the best item of the meal, the kiddies couldn't get enough of the 1/2 Hainanese Chicken. Properly deboned, the chicken was tender and succulent. Even the breast meat was moist. As much as the garlic sauce on top looked super flavourful, it was actually rather mild. It was still good though! Unfortunately, the chicken rice was not to our liking. It was too soft and didn't have a whole lot of flavour. We would've liked to see some more nuttiness and chicken fat. 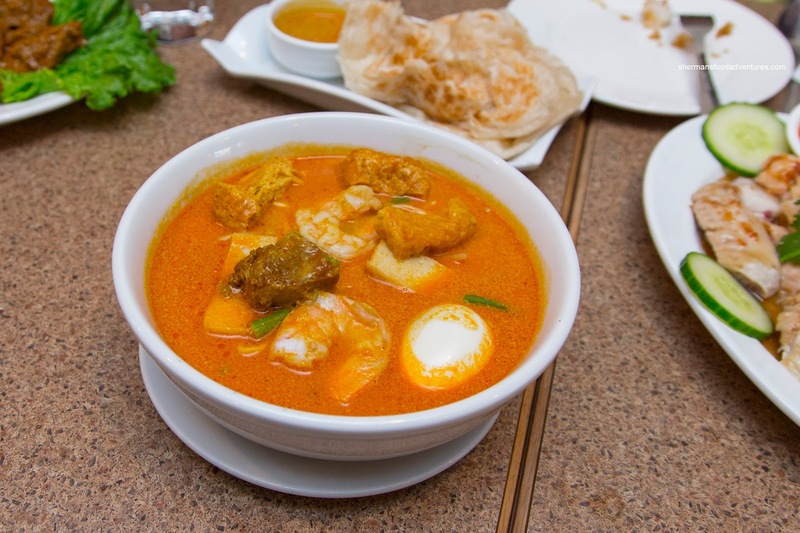 Although not my favourite version of Laksa, the one here was respectable. 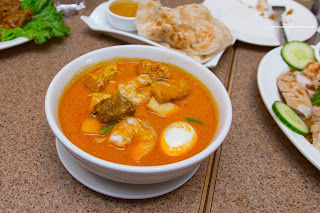 I found the broth to be creamy, aromatic with a touch of spice. I would've liked to see more seafoodiness and even more spice personally. The noodles were nicely chewy while the requisite tofu puffs, egg, shrimp and fish cake (no fish ball) and chicken were there. We also got the Pulot Panggang and I wasn't a huge fan. The rice was rather dry (which is fine, but it was overly dry). The sweetened coconut was okay though, but this version either did not have any dried shrimp or had very little, because the filling was very sweet. For our one veggie item, we went for the Stir-Fried Green Beans with Garlic Sauce. This dish exhibited enough wok heat where the flavours were definitely caramelized. 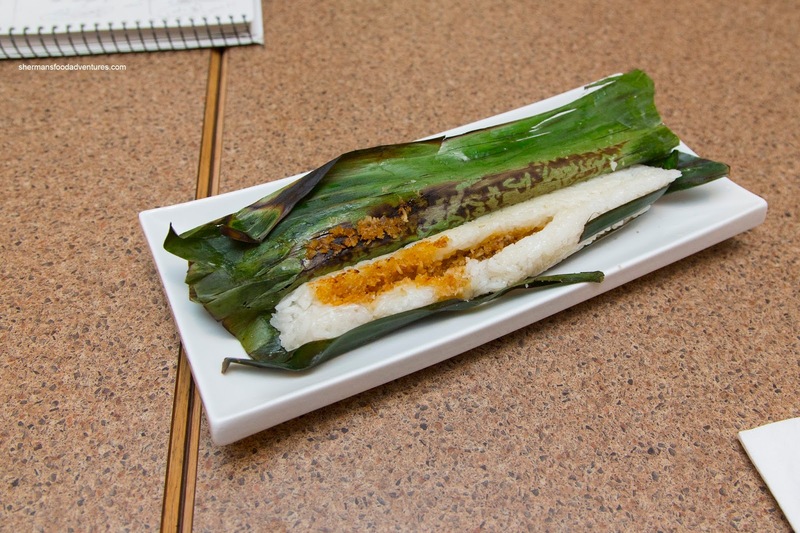 We liked how there wasn't too much residual moisture on the plate. 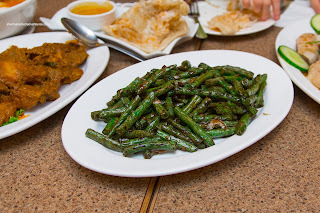 On the other hand, the green beans were soft and no longer had any vibrant crunch. They either oil-blanched it too long or stir-fried it too long. 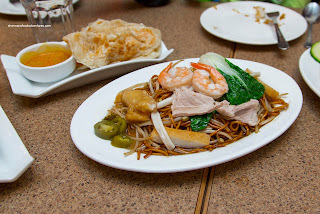 My mom really wanted the Hokkien Mee and on the surface, it looked good. It was actually decent with chewy noodles and crunchy sprouts. All of the other ingredients were prepared properly as well. In fact, there was just the right amount of seasoning. We realize there was supposed to be a "sauce", but it wasn't appealing because on the bottom of the plate, there was a pool of grease. Suffice to say, not appetizing. We also got the Beef Rendang and in terms of flavour, it was good. There was a good mix of coconut milk fragrance and creaminess mixed in with ginger, lemongrass, cloves and a background spice. The pototoes were soft, yet still holding their shape. Despite not expecting succulent meat, the chunks of beef were too hard and dry for our liking. All-in-all, a hit and miss visit to John 3:16. We understand they have just opened up shop and there will be some growing pains. Hence, I would say that it is still worth a visit if you are in the area.